All call data generated by the Unified Communication system is captured by AlwinPro UC-Edition. Costs for manpower, equipment (devices) and services will be collected and allocated properly. AlwinPro UC-Edition is perfect for calculating internal costs or third-party billing. All data will be generated and processed with regard for data protection requirements. 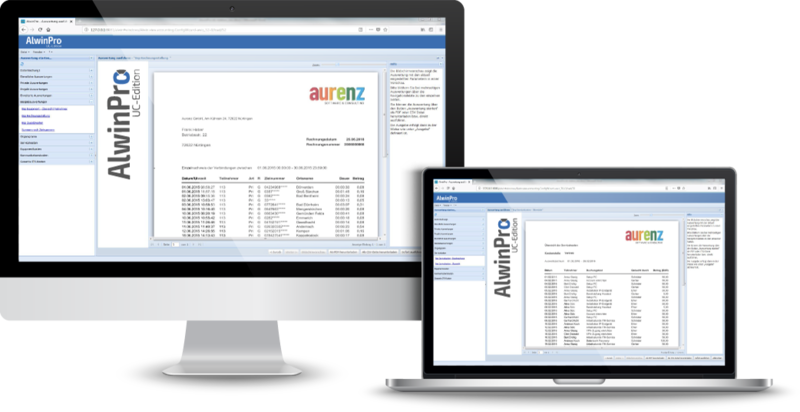 Use AlwinPro to identify saving potentials, or to turn your IT-department into a profit centre. Get an overview of the length of the calls, and allocate the costs to the correct department. Calculate all ITC costs based on the source of the costs. Make a clear comparison of connections from the different cost centers. Evaluate customer contacts and compare them to sales.